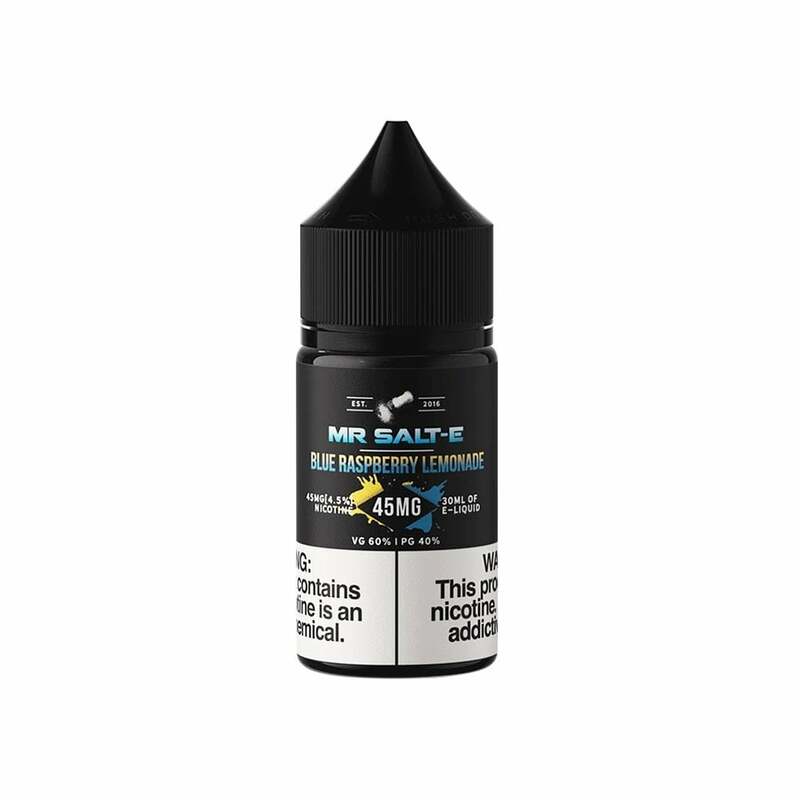 Mr. Salt-E Blue Razz Lemonade is the perfect vape juice flavor for fans of the classic soft drink: sour blue raspberry meets the sweetness of lemonade for a little rush of refreshment on every inhale. Blue Razz Lemonade, like Mr. Salt-E's other juices, is infused with nic salts for absolute satisfaction from your vape! Not overpowering but you still get the full flavor. One of my favorites. I did NOT really like this flavor. I know it’s subjective, so for what it’s worth I like the blackberry and razzlemelon. Great juice. Tastes amazing and even have days of non stop use I still get a buzz after a couple puffs. Amazing, would buy again. This juice is gross it it very bad don’t buy it. Awesome flavor but not the best mr salte flavor.